Primrose Place Full Care is located in Northcliff – which is near Cresta, Randpark Ridge, Berario, Linden, Craighall Park and Melville. 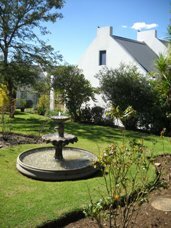 This specialised frail care home offers comfortable accommodation and professional care in beautiful surroundings. Most accommodation comprises shared rooms (only 2 people) and there are a limited number of single rooms too. For other Flower Foundation Full Care and retirement homes, click on this link. string(81) "Full care, frail care, elm park frail care, primrose place, northcliff frail care"
string(38) "1 Suzanne Crescent Northcliff Randburg"
string(47) "Primrose Place Frail Care – Flower Foundation"
string(1143) "                                                     Primrose Place Full Care is located in Northcliff - which is near Cresta, Randpark Ridge, Berario, Linden, Craighall Park and Melville. This specialised frail care home offers comfortable accommodation and professional care in beautiful surroundings. Accommodation available at Primrose Place Full Care Home Most accommodation comprises shared rooms (only 2 people) and there are a limited number of single rooms too. Features of this Full Care home 24 Hour nursing care 3 Nutritious meals per day Refreshments Emergency buttons in every room Daily cleaning of rooms Laundry Security Visiting doctor Weekly entertainment is organised Podiatrist and Physiotherapist visit regularly Other facilities on site include Chapel, Hairdresser and Library Bridge Club, Cardies Club and Trim Gym Cosy lounges for residents to receive their visitors in For other Flower Foundation Full Care and retirement homes, click on this link." string(25) "Primrose Place Frail Care"
string(114) "This specialised frail care home offers comfortable accommodation and professional care in beautiful surroundings." 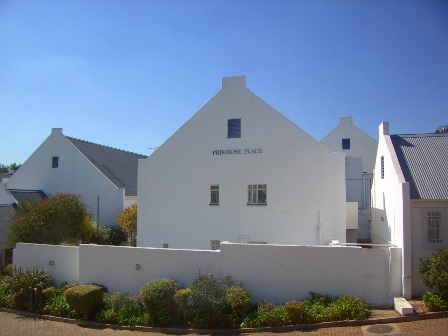 string(1132) "                                                     Primrose Place Frail Care is located in Northcliff - which is near Cresta, Randpark Ridge, Berario, Linden, Craighall Park and Melville. This specialised frail care home offers comfortable accommodation and professional care in beautiful surroundings. Accommodation available at Primrose Place Frail Care Home Most accommodation comprises shared rooms (only 2 people) and there are a limited number of single rooms too. Features of this frail care home 24 Hour nursing care 3 Nutritious meals per day Refreshments Emergency buttons in every room Daily cleaning of rooms Laundry Security Visiting doctor Weekly entertainment is organised Podiatrist and Physiotherapist visit regularly Other facilities on site include Chapel, Hairdresser and Library Bridge Club, Cardies Club and Trim Gym Cosy lounges for residents to receive their visitors in For other Flower Foundation frail care and retirement homes, click on this link." string(52) "Community centre, library, chapel, wood-working room"
string(31) "Kombi to Cresta Shopping Centre"
string(33) "Meals included in frail care levy"
string(20) "24 Hour nursing care"
string(35) "Laundry included in frail care levy"